WE SPEAK TO NICOLAS FREDRICKSON ABOUT HIS JOURNEY FROM NEBRASKA TO NORWAY, TO AMSTERDAM AND BACK. What can you see right now? Tell us a bit about your upbringing and where you are/where you’re from? I was born and raised smack dab in the middle of America, in Omaha, Nebraska. My dad is a very creative individual, so growing up I loved looking at his illustration work, leather crafting, etc. He was somewhat of a DIYer before it was cool! That’s really what sparked me to work with my hands whenever I could. As cliche as it may be, art class was always something I looked forward to. On the other hand, I for whatever reason enjoyed math classes too. It just seemed to click for me. After a lot of brainstorming, I found the best way to marry art and problem solving, was in the field of graphic design. I went to school for design, at the same time my wife (then girlfriend) was taking some classes. She had quite the spectrum of classes, ranging from American Sign Language to Photography. Part of her coursework for photography included taking a 100 photos before each class. I would go to nearby nature areas with her, where I gained a deeper appreciation for photography. This was my first exposure to a DSLR camera (pun intended), and I bought one soon after. My appreciation for graphic design and photography became intertwined in a timely way. The further I got into my graphic design degree program, I realized that a way to stand out was to show my work in an impressive way. This led to me to using photography as backdrops for my lettering. I definitely don’t consider myself a photographer. It’s definitely a big piece of the puzzle in my design work, but I have a tremendous amount of room for growth. I’m a dog man for sure! Cats make my nose run too much haha. Though I do think some cats are pretty cool… I would like a puma though. If we’re talking black lab vs puma, I’d go for the puma. What essentials do carry when travelling? This definitely depends on where I’m traveling. I always have my Bible, my boots, and my camera. On backpacking trips, I also carry a sketch book, my hatchet, knife, blade sharpener, snacks, and other basic essentials. On trips with my family, it’s a little more civilized. What music are you listening to lately? “Right Away, Great Captain!” is my all time favorite. Andy hasn’t come out with new music for a while with this side project, but I never get tired of the older stuff. His main gig, Manchester Orchestra is also super rad. He’s just got such a cool voice, uniqueness, and genuine quality that you can really feel communicated through his music. Airbnb, hotel, or camper van? Airbnb for sure. Hotel’s are overpriced and overrated haha. Camper vans on the other hand, is something my wife and I talk about getting into. We’ve perused Craigslist a number of times looking for a good deal. We are big on home improvement so look forward to fixing up a Camper Van, or an Airstream. Unfortunately I don’t know much about engines. So I’d want to take a couple classes before driving an 40 or 50 year old vehicle across the country! What was your favorite trip? This is a tough question. I’ve seen some of the most beautiful parts of America, but I’ve also seen the wonder of Croatia. All in all though, I think Norway takes the cake. My wife, one year old son, and I took an amazing trip last year. We went from Nebraska to Norway, to Amsterdam and back. 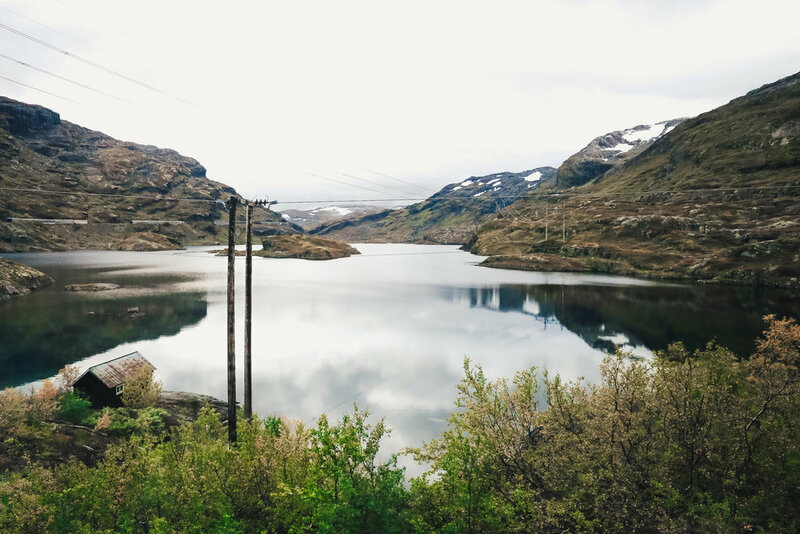 While in Norway, we took a train from Oslo to Flam. Turn after turn there was such beauty. It somehow just kept getting better, and once we arrived in Flam, that didn’t stop. We were engulfed in foggy fjords and felt like Frodo Baggins was lurking around the corner. We had the best stew of my life, reindeer stew! 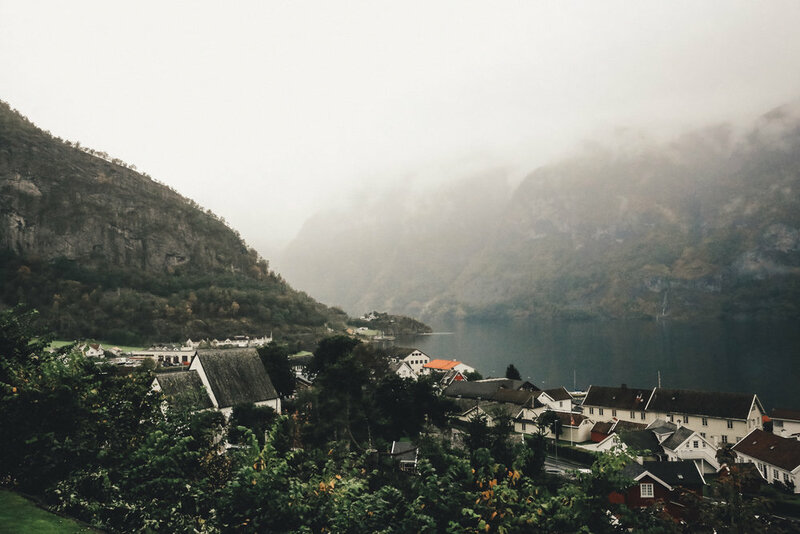 It felt pretty weird eating reindeer, but, when in Rome, err, Flam…From Flam we took a ship to Bergen and the beauty continued the whole way there. It amazes me that some of the sights we saw are real places. What advice would you give to others who aspire to travel more? Just remember that things won’t go perfectly. I’m a pretty spontaneous person, so I feel that quirks in the trip just makes for fun stories later on. I think it was when we were flying from Amsterdam back to Oslo, we ran into a hiccup. Passports are good for 10 years, and so my wife’s still had her maiden name. Fortunately she had her driver’s license with her, and could verify that she in fact was the person who was listed on the ticket. Most airports didn’t make a big deal about it, but this one lady was very hesitant with letting us fly. Thankfully with enough explanation, she finally okayed it, but we were freaking out for a moment, thinking we wouldn’t get home haha! All these sorts of things help you prepare for your next trip. Speaking of… For our next trip, we might do something cliche like Mexico haha. We’ve traveled quite a lot in the past few years, generally cold rainy places, so my wife and I wouldn’t mind seeing the sun somewhere we go! Most people relax on vacation where we have always been on the move, usually walking around 10 miles a day. Maybe it’s time for a little relaxation!